The top 24 girls teams and 21 boys teams along with select individuals will compete in the prestigious Race of Champions Saturday morning at flrunners.com Invitational 15. The goal is to see how many girls can break 19 minutes and how many guys can break 16 on this fast Chain of Lakes Park course. We take a look at the individual match ups as well as team battles and see what the computers think in our virtual meet feature. 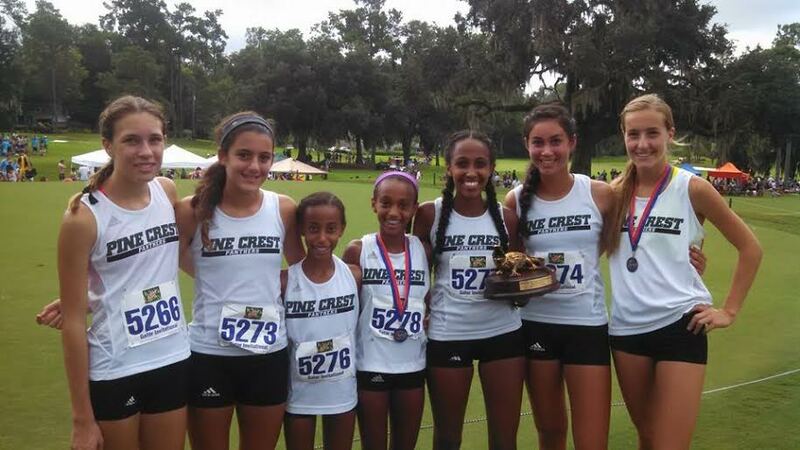 She's only in 7th grade, but it's hard not to pick Tsion Yared of Pine Crest as one of the title contenders in this race. Yared hasn't let age or her short stature deter her. She was 31st at FLR 14 and went onto finish sixth at the 2A Cross Country Finals. This year she won the Pine Crest Invitational, Martin County Under the Lights Invitational, Fleet Feet Invitational, and ran a FL#2 18:08.31 at the UF Mt. Dew Invitational in a runner-up effort. The youngster is out performing her teammate Montgomery who is the two-time 2A Cross Country Finals champ. That doesn't mean Montgomery is having a bad year by any stretch. She was third at the flrunners.com Invitational in 2012, 5th in 2013, and has great speed if this one comes down to a sprint. ECS senior Sarah Candiano is looking for her third finish in the top 20. She was 4th in 2011 and 11th in 2012. Candiano was third in at UF Mt. Dew in 18:20.12 and like Montgomery has sub 5:00/11:00 times in the 1,600 and 3,200m. 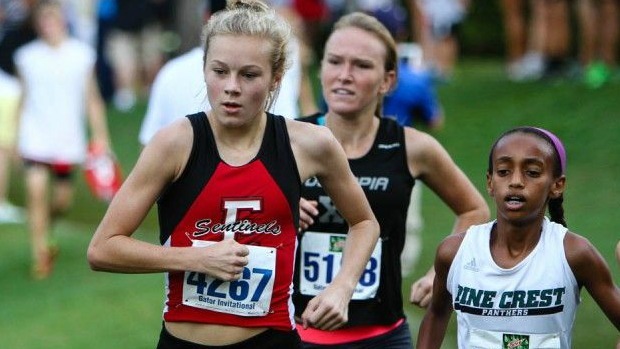 Brevard Heat senioy Emily Chapman admitted after the Astronaut Invitational she wasn't up to par, but after a win at the Rockledge Raider XC Classis last week she looks to be back on track. Emily Headley was 14th last year and has a top four finish in the state meet the last three years. Could this be the meet that springboards her to the cherry on top of her high school career? Speaking of state champions this field ealso has Julie Wollrath the 3x 1A Cross Country Finals champion who transferred to Melbourne, as well as 4A 1,600 and 3,200m champion Sinclaire Johnson who has one three out of four of her meets this year and gone under 18:30 twice. Her lone loss was to Wollrath last week at the SHS Invitational in Clermont. Other names to watch include Autumn Bartlett, Devin Molloy (8th last year), Hannah Brookover (10th in 2014. ), Fatema Jaffer, the Seabreeze duo of Kianna Bonnett and Alyssa Bayliff and Cypress Creek's Kaley Schmick. The Pine Crest girls are arguably the best team in the state of Florida regardless of class and are the clear cut favorite for a girl's ROC team championships. Strong front runners are a factor in the past winning teams in this race and the Panthers boast perhaps the best 1-2 punch in 7th grader Tsion Yared and junior Julia Montgomery. Their team average of 19:12.18 is stellar. Coach Baur will have his troops ready to start a new tradition of champions in this race and upend Estero's run of three straight. 2013 1A runner-up Oak Hall is entered, but last week they only ran three runners at the nearby UF Mt. Dew Invitational. They were third last year and bring back many of their youngsters from last year. If they are at full force they are always dangerous and could contend for the second spot. Seabreeze who finished third at the 3A Cross Country Finals behind Estero and Sarasota have a powerful top two in Kianna Bonnett and Alyssa Bayliff and an impressive number three in Elizabeth Murray. Senior Josie Gray also gives the Sandcrabs the depth needed to claim that second spot. What about Estero? The Wildcats who have won three in a row and finished in 2010, are on the rebound this year. Look for Coach Sommer's girls to fight for a top five spot with Niceville, Merritt Island, Columbia, and Timber Creek. Ten runners in the boys ROC have broken sixteen minutes this year. With a fast Chain of Lakes Park course that is guaranteed to change on Saturday morning. Steven Cross of Merritt Island has a 1st place showing next to his name from FLR14, but it was in the invitational race. This year he has opened to run without his Mustang teammates in hopes of an individual title. Cross has won three of the four meets he has competed in this year (note: all three I attended) and posted sub 16 minute times in the last three including a FL#2 time of 15:21.37 at the UF Mt. Dew Invite. 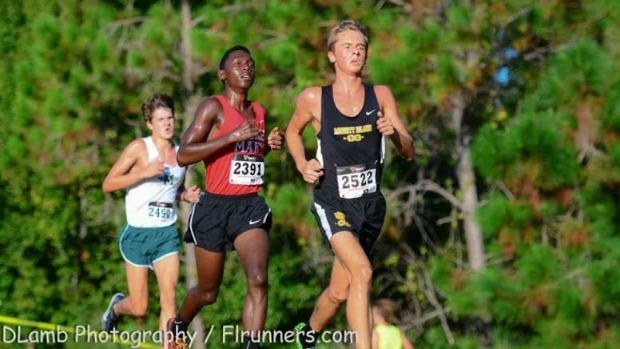 Garrett Camps of Melbourne was second behind Cross at the Astronaut Invitational and Hagerty Invitatonal and is very athletic. Camps who is a converted swimmer in his second year running cross country has hung up front with the leaders both times I have seen him and I expect him to do the same in this race. Belen Jesuit senior Ryan Rodriguez comes in with the second fastest time in the field, 15:31.74, where he finished in third behind Cross at the UF Mt. Dew Invitational. The one factor that Rodriguez has is experience on a big stage. Running for a power, like the Wolverines, the recent UF committment doesn't get intimidated. He was fifth at this meet last year. Joshua Jacquez of Lyman was fourth at UF, but has been inconsistent in his two meets, finishing 8th in 16:34.10 two weeks prior at the Astronaut Invitational. Depending on which runner shows up will determine if he is in the top ten or below. Other names to watch include Franco Martins, the 1A Cross Country Finals champion in cross country and the 1,600 and 3,200m outdoor state champion who is finally regaining his mojo, Mason Jones of host titu as well as, Ryan DeGale of Lake Mary, Mason Jones of host Titusville, Ryan Aponte, Tennessee transfer Zach Weaver, and Port Charlotte's Tyler Fisher who is more than pumped for this race. Look for the field to really go after a fast time with the winner crossing the line in a new state leader, weather permitting. 2014 won't be much different than years past for boys teams in the ROC. 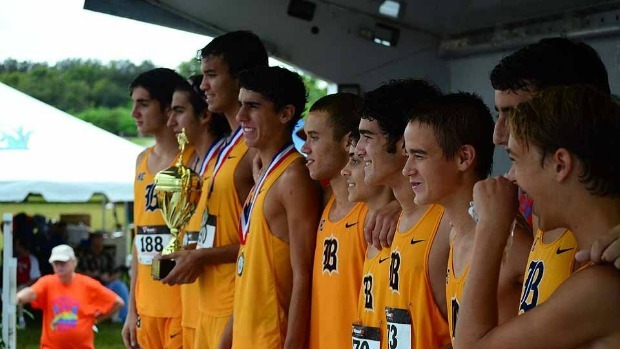 Belen Jesuit has won this race the last four years and five out of the last six and look to be the favorite once again with recent University of Florida committment Ryan Rodriguez at the helm. The key to winning the boy's team race in years past has been depth and the Wolverines are loaded with a corp group of juniors and a slew of runners biting at the bit to make the varsity squad. Coach Ruiz consistently has one of the top programs in the state having won seven of the last eight state titles. So the question is who will take home the runner-up trophy? Lyman finished first at the Astronaut Invitational beating out 1A power Holy Trinity and what many believed to be a 4A team to beat in Winter Park. However, the following week at the Hagerty Invitational, Seminole County foe Lake Mary was the top dog, and Lyman was fourth behind Melbourne and Winter Park. The Greyhounds were fifth at the UF Mt. Dew Invitational. If their three some of Joshua Jacquez, Jordan Armstrong, and Bryce Bell run like they did in the first meet of the year, it should be a good day for Coach Finke and company. Lake Mary and Dr. Phillip's will need to get more production out of the back end of their line up to finish in the top two. My sleeper pick is McKeel Academy. I've seen them run several times and they have a very solid pack style of running and corp of seniors leading the way.